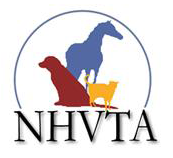 The NHVTA is a membership association of veterinary technicians in the state of New Hampshire, offering continuing education seminars, a website, and other benefits to members. We are the organization that certifies veterinary technicians in the state. 6 CEU Each Day! Get all 12 CEU required to renew your CVT in one weekend!